Official Endorsement From TN 7th Coalition Tea Party! 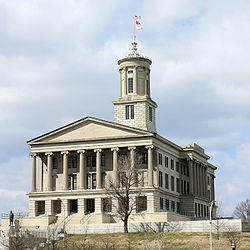 In 2010, for the first time in 150 years, Republicans in Tennessee won the governorship and a majority in both chambers of the General Assembly. While obtaining that long sought after majority has enabled constitutionally minded conservatives to achieve some needed legislative victories in Tennessee, the ability to advance key pieces of legislation representing the core conservative principles of the district and our state has been seriously undermined. It has been undermined not by bureaucrats, but by fellow Republicans whose loyalty to our state and federal constitution and the conservative principles of the majority of our citizens has proven to be seriously lacking. This disloyalty to principle has and will continue to limit the potential for passing needed conservative reforms and legislation. This requires replacing Republicans who undermine our goals. Senator Mark Norris, as the Senate Majority Leader, has chosen repeatedly to use his considerable power to undermine key pieces of legislation supported by conservatives and constitutionalists. Few legislators in Tennessee have the distinction of epitomizing the term Republican In Name Only (RINO) to the same degree as Senator Norris. He has repeatedly proven his loyalty to Governor Haslam and his progressive agenda. For example, Sen. Norris sponsored SB2211 which would have further increased the power of environmental regulation and further degraded the property rights of our citizens. This legislation would have also created funding mechanisms designed to channel “in lieu fees” and fines to private environmental nonprofit organizations. It was essentially a cap and trade for water where somebody could pay money and be allowed to “pollute”. The money paid would in turn go to any organization approved by the Tennessee Environmental Council no matter how radical. Public dollars would fund private radical environmental organizations! This is the type of pro Agenda 21 legislation that both the House and Senate condemned in HJR 0587! It is well known that Sen. Norris was pushing this legislation on the Governor’s behalf. Sen. Norris was also instrumental in killing the Law Enforcement Communication Bill (SB2669) designed to prevent the types of abuses suffered by the employees and owners of Gibson Guitar. This legislation would have reestablished the county Sheriff as the top constitutional official in the county responsible for safeguarding the rights of the citizen’s against overzealous federal officials. Several Tea Party groups and other constitutional based organizations worked hard to get this legislation passed; however, Senator Norris, the Governor’s go to Senator, managed to have it killed in a Senate committee. Those of us in Tennessee that care about the state and federal constitution as well as conservative principles have to replace Sen. Norris and his kind from office in the primary this August if we are to have any hope of real legislative success. We need legislators that will oppose our progressive Governor not fight his battles. We need legislators with strong Christian morals who will defend our constitution and support our core conservative principals. We need legislators who believe the 10th Amendment means what it says! We need legislators that recognize the threat of Sharia Compliant Finance and other radical Islamist doctrines. Fortunately Senate District 32 has just the man for the job! Woody Degan! Woody Degan spent much of this past legislative session fighting SB 2211, the pro -Agenda 21 legislation sponsored by Sen. Norris at the Governor’s request. Woody did more as a private citizen to protect the property rights of Tennessee citizens this past session than Sen. Norris or the Governor. We know Woody to be a Constitutional conservative in every sense of the term. He will work to protect the rights of the People by sponsoring and supporting conservative legislation. We strongly support his bid for the 32nd District State Senate. Please consider this an endorsement of Woody Degan in the race for the District 32 State Senate seat.